Everyone wants to think that their home is invincible, but every house is at the mercy of chance. Even if where you live isn’t particularly rainy or close to any water, it only takes one torrential downpour or a serious leak to cause damage to your property.Even if your home hasn’t been the victim of a flood, it’s still important to know how you should go about saving it. 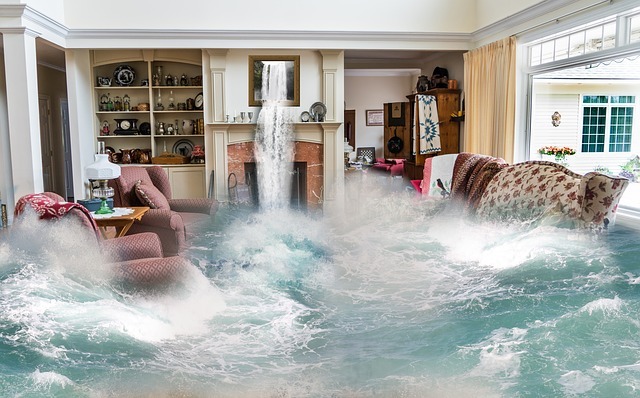 After your home has been flooded, it can be easy to feel overwhelmed especially if it comes as a surprise. You’re concerned over what you’ve you lost and how you should even start repairing the damage. Save yourself some worry and follow these steps to save as much of your property as you can. Before you go about checking your home and registering the damages, you want to make sure that you’re safe to do so. The floodwater in your home will typically be a combination of sewage, chemicals, gasoline, and other toxic materials. If you have to enter your home while the floodwater is still present, you’ll want to wear gloves and water-resistant shoes to protect yourself from any of the chemicals in the water. But before you re-enter your home, make sure you’ve been cleared to do so by the local authorities. Even if you’re tempted to, avoid altering anything in the area before you’ve had the chance to document it for your insurers. Take photos and videos of your home and all of the damage it’s sustained. You want to make sure you capture everything from waterlines on the walls to a waterlogged carpet. This way you have proof to show your insurance company when you file a claim. Once you’ve done that, give your insurer a call and get that process started. Groundwater damage isn’t typically covered by your average homeowner insurance policy, so you’ll have to work with your agent to figure out the cause of the flood and how much your policy will cover. Follow their directions closely when it comes to repairing your home. Mold and fungus generally begin setting in after forty-eight hours, so you’ll want to do this as soon as you’re able. Allowing those to grow can pose a serious risk to your health. Also, any water left behind can permanently damage wood, wallboard, and most types of insulation in the walls. Be active and take care of the remaining water and dampness first. When you’ve been given the all-clear to return to your house, open all doors, windows, cabinets, and drawers during the day.The dry air should get rid of some of the water from the different areas of your house. If you can, use fans, window air conditioners, and dehumidifiers to further the ventilation. Or a company like Alldryus.com can help. Restoration services make it so you don’t have to rely on your own knowledge to get the work done efficiently. You can call them, make an appointment, and allow them to take over from there. They’ll assess the damage, dry out any remaining moisture with their state-of-the-art equipment, and look for sources of future water damage. After your home is dry, you can start the process of cleaning up. Depending on the extent of the damage, you may have a lot of work ahead of you. If possible, gather willing friends and family members to help you work through it. If any food was left in the home, you’ll have to throw it away as it will likely be contaminated. If there is any debris, remove it – but not before your insurance company gives you the go ahead. Move anything that can be salvaged to a dry area of the house. For small items, put them in plastic bags to keep them from further harm. From there, you’ll need to start looking into the state of your walls and insulation. You could do this yourself, but it’s best to trust a professional. Sadly, carpets, rugs and anything covered in fabric may have to be thrown out because of its exposure to the floodwater. Speak to your restoration company for advice about what can and can’t be saved. Once your home is dry and clear of debris, you’ll be able to start moving toward fixing up anything that’s been damaged. The most important thing is to make sure that your house is dry. That is the best way to save your home from the worst-case scenario.